We’ve survived the crucial first week of new year’s resolutions 2013, so let’s zero in one one of the bets garden resolutions you can make – composting. The biggest (at least most common) obstacle to composting in the urban garden is that there is no room for the old school compost pile, and when you only have a postage stamp of a yard in the first place, you don’t want to take up part of it with an unsightly and potentially smelly pile of rotting waste. The truth is that well managed compost piles don’t smell bad, but that doesn’t deter potential pests from dogs and cats to rats and raccoons from showing up to investigate your pile. One easy to way deter pests is by using a composter that serves to contain your composting materials. Not only will it keep everything odor and pest free, it will help to speed up the composting process by concentrating the heat where it gives the most benefits. 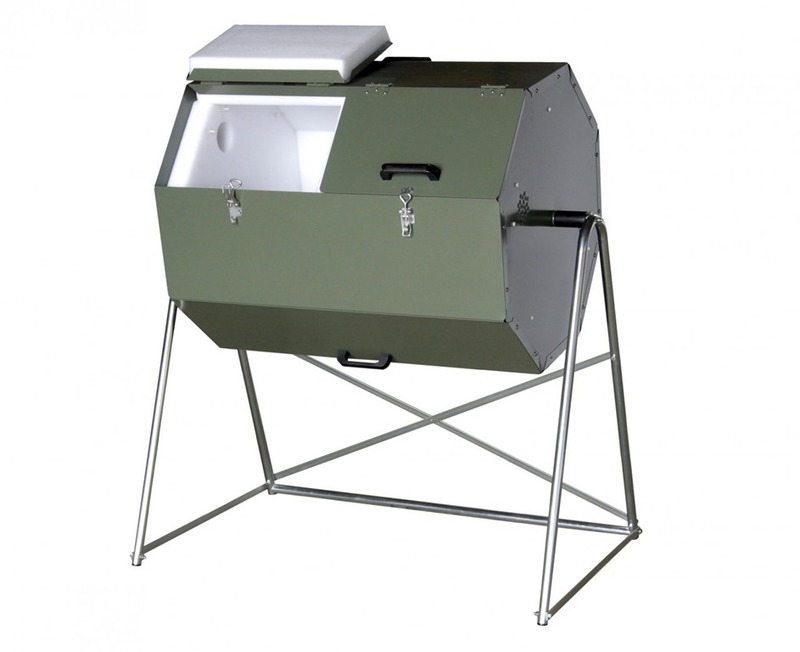 The unique design of the Warehouse composter is perfect for urban gardens because it allows you to add compost to one side even while using finished compost from the other side. 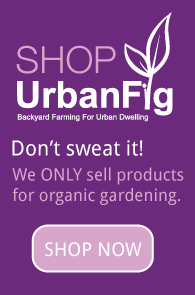 It is compact, durable, and reliable, which is why it has UrbanFig’s approval! The most important part of setting up and using a composter is placement. You want it in a location that is convenient to the house but not in the way. One creative way to disguise your composter so that it doesn’t distract from the beauty of the garden is to use vining plants on a decorative trellis. This can work in the urban garden just like a privacy screen helps to divide a room in a loft space, putting your tools away when you don’t want them to be seen but keeping them close by and easily accessible when you need them.